(JNS.org) South African Foreign Minister Maite Nkoana-Mashabane said that her government’s ministers do not visit Israel out of solidarity with the Palestinian cause. 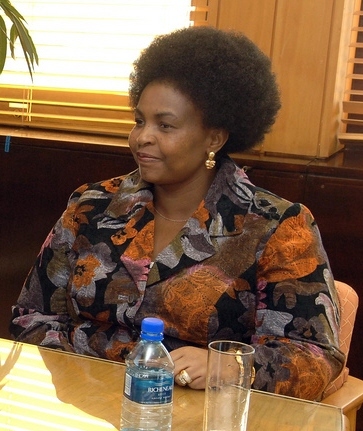 South African Foreign Minister Maite Nkoana-Mashabane. Credit: State Department. “Ministers of South Africa do not visit Israel currently. Even the Jewish Board of Deputies that we engage with here, they know why our ministers are not going to Israel,” Nkoana-Mashabane, who is a member of the ruling African National Congress (ANC), said at a South African trade union meeting, South Africa’s The Times reported. Israel-South Africa relations have become increasingly strained. Some prominent South African figures, such as Archbishop Desmond Tutu, and powerful South African trade unions have been very critical of Israeli policies. Posted on November 1, 2013 by JNS.org.